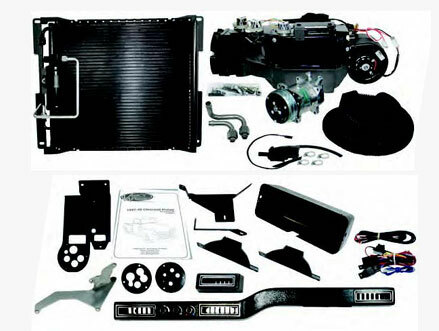 CPP now offers Vintage Airs most powerful and intelligent climate control system - the Gen IV Complete Kit! It features an exclusive electronic microprocessor control system that eliminates cables or vacuum connections. Utilizing a separate high capacity copper parallel-flow heat coil and aluminum plate and fin cooling coils, it delivers outstanding performance and instant temperature adjustment. 1960-66 Chevy Trucks - The supplied firewall fill-plate is designed for non-air trucks. OEM air equipped trucks will rerquire a larger cover plate (not currently available). VA-318010 2-1/2 duct hose, 10ft. VA-318005 2-1/2 duct hose, 5ft. VA-317110 2 duct hose, 10ft. VA-317105 2 duct hose, 5ft.